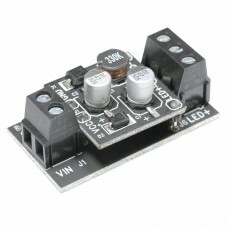 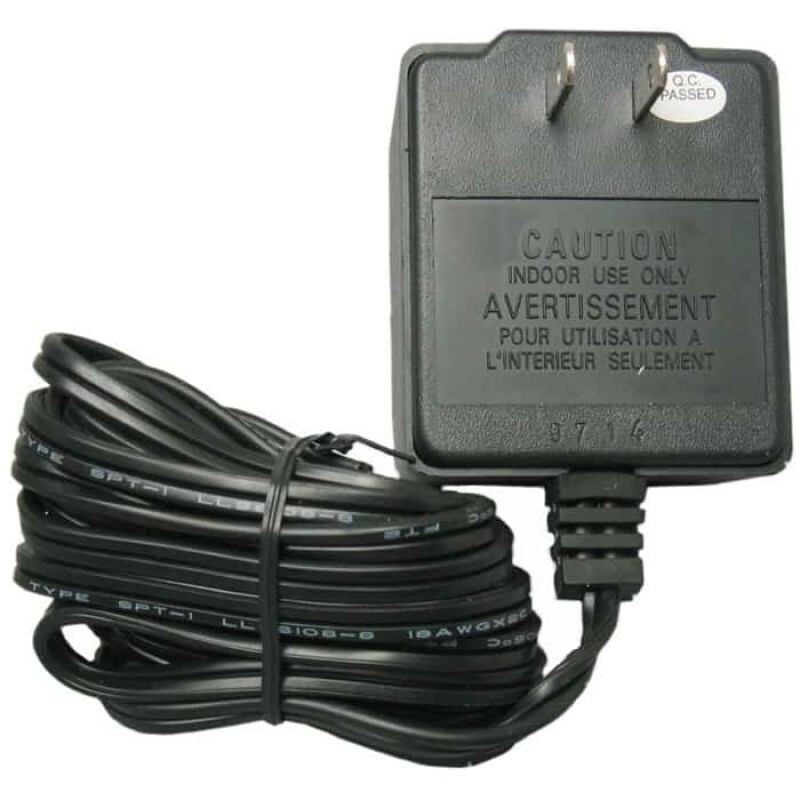 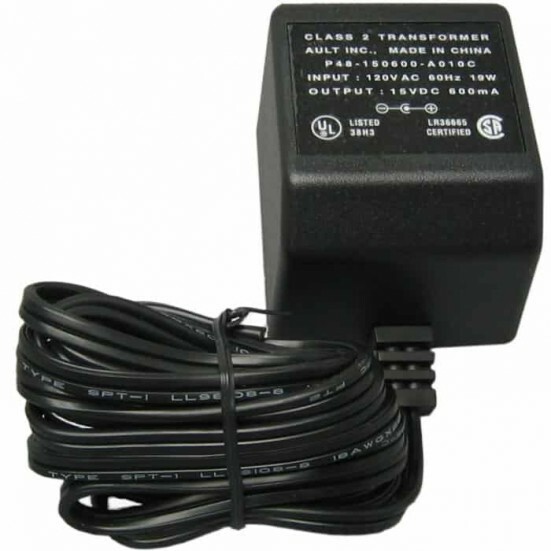 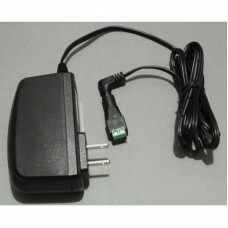 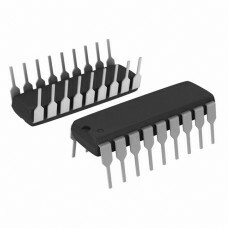 The AC-to-DC adapter has a rated output voltage of 15v DC at 600mA of current. 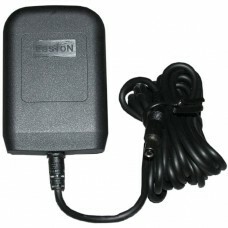 Unit is encased in a thick, rugged plastic housing with a 7-foot cord with strain relief. 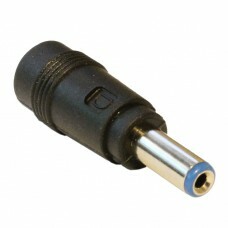 Cable is polarized with the rib on the cable indicating the negative power lead. 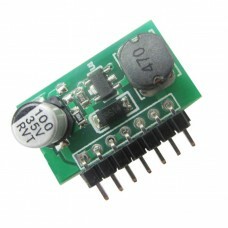 Unit is designed to run on 120VAC / 60Hz.